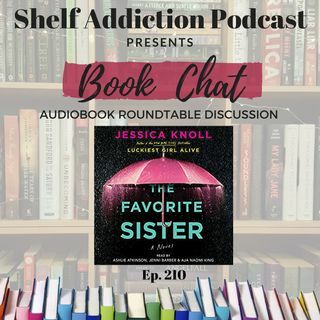 Tonight on Book Chat listen to this fun roundtable discussion on audiobook The Favorite ... See More Sister by Jessica Knoll. Joining me are Brad and Britney from the AudioShelf podcast! If Patreon isn't your thing, you can also show your support by using out sponsored links or buying me a coffee (ko-fi.com/shelfaddiction) to help me with my early mornings and late nights spent editing.